This is the most prestigious and competitive 16" softball tournament in the Chicago area, and it began last Wednesday in Forest Park. 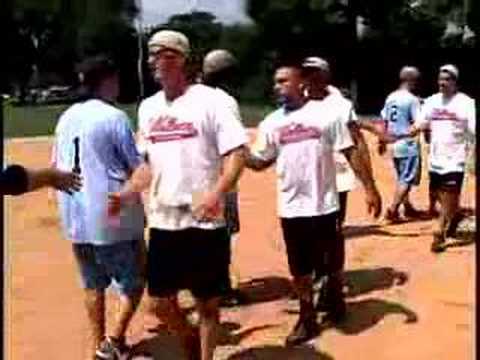 It's the 43rd Annual No Gloves National Softball Tourney. Come over to their fabulous park at Harrison and Des Plaines and see teams from all over battle it out. The competition runs through Sunday night, July 31st, 10pm. There will be food, beer, soft drinks, and all kinds of fun for everyone and for the kids. More information at www.pdofp.org. See the attached clip to get a taste of the event.